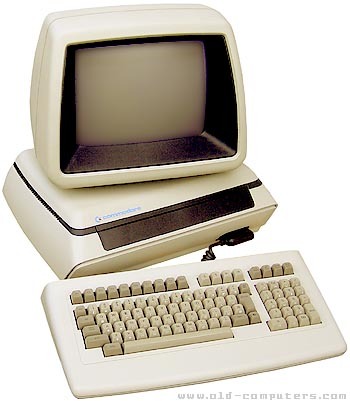 The Commodore 700 series featured the same hardware basis as the 600 series but had a built-in tilt-and-swivel monochrome 12" monitor, a detachable keyboard and housing for two 5.25" floppy drives. It was said that the 5/6/700 cases were designed by Porsche, not the more familiar Porsche auto factory, but the separate Porsche Design firm. Both versions could be purchased with a built-in dual floppy disk drive which was compatible with the external 8250 dual drive unit. Special thanks to Susan Griffiths who donated us this computer ! see more Commodore CBM 700 Series Ebay auctions !